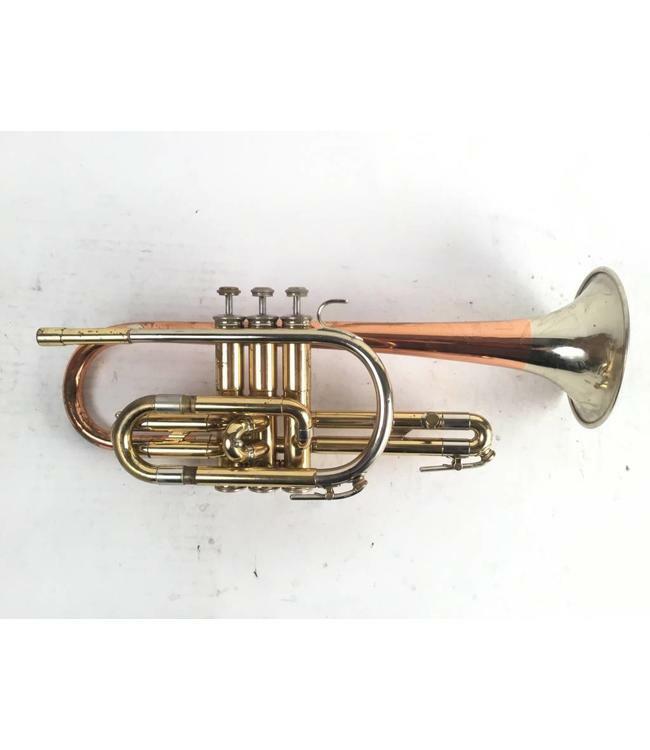 Holton Collegiate student cornet in lacquer. Has two piece bell, part copper / part nickel. Good condition. Has Case.